Periodontics is the study of preventing, diagnosing, and treating common problems affecting the teeth and gums. At Plaza Dental Group in Ventura, California, the expert team of dentists specializes in addressing issues, such as tooth decay and gum disease, with highly effective treatment methods. They develop personalized plans that save you time and money. If you’re noticing common signs of dental problems, including bleeding gums or tooth sensitivity, call or use the online booking tool to schedule an appointment today. Periodontics refers to the branch of dentistry focused on the health of your key oral structures, namely your teeth and gums. 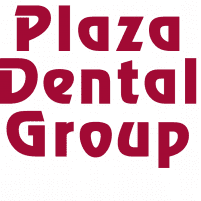 At Plaza Dental Group, the team of skilled, licensed dentists provides preventive care and effective treatments to address common culprits of oral health troubles, including tooth decay and gum disease. Obviously, having healthy teeth and gums give you an attractive smile you can show off. That boost in self-confidence can help you nail that important job interview or make a good impression on a big date with that special someone. Beyond the cosmetic benefits of an attractive, healthy-looking smile, periodontics can help you limit your risk of more serious overall health concerns. Letting tooth decay or gum disease persist and worsen can complications, such as heart disease or stroke. Poor oral health is closely linked to poor overall health. Preventive care that caters to periodontics helps you avoid time-consuming and expensive dental work down the road. Why wait to deal with serious oral health problems when they arise? Get out in front of them, and save yourself time and money by taking advantage of the periodontic services at Plaza Dental Group. What types of periodontic services are available? The team provides comprehensive, professional cleanings to get rid of plaque and tartar buildup that your own brushing and flossing can’t reach. These cleanings help you limit your risk of tooth decay and gum disease, and you should have them at least twice a year. Your Plaza Dental Group dentist can also perform effective treatments, such as scaling and root planing, a deep professional cleaning that helps reverse the effects of gum disease. This is the standard in nonsurgical gum disease treatment. To schedule your first or next appointment with the experts at Plaza Dental Group, don’t wait. Join the family. Call the office today, or use the online booking tool and set up a time to come in.